Hometown Plus supported Riddell TPS to manage York Place for 26 months, beginning in June 2016. 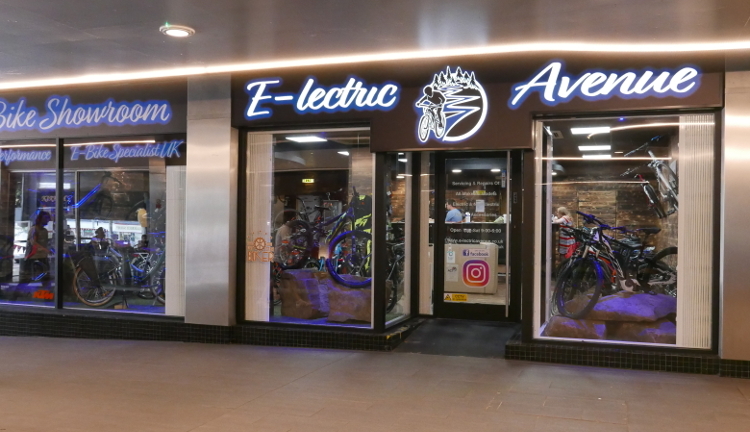 During this tenure it continued to successfully innovate in its approach to finding new tenants, reducing voids (empty shops) and minimising the associated costs, devising alternative lease strategies and driving up footfall. A recent blog post from Deloitte remarked that change in practices are needed in the secondary shopping centre sector , in order to radically overhaul the approach to managing these town centre shopping malls. In particular, they focused on types of lease/rental agreements – suggesting that rents will need to be more based on retailer performance (ie turnover) – and that the relationship between trader and landlord will need to become a closer and more mutually supportive one. ‘This may prove challenging and countercultural for both landlords and tenants; with landlords forced into a closer involvement in the trading performance of their tenants while retailers will need to get more comfortable with sharing their sales figures with their landlords.’ (Deloitte, (1)). It is striking that, one of Hometown Plus’s innovations at York Place included a proposition to transition retailers at York Place over to form of ‘turnover rent’. This was one of the alternative solutions that Hometown Plus drove forward to resolve the issues at the centre. Hometown Plus also facilitated the relationship between retailer and landlord, by providing bespoke business development support to new retailers taking on leases at York Place, which also delivered Newcastle under Lyme BID’s objective to support growth and development. Staff were on the ground, at the centre, listening and learning from retailers, shoppers, community members and centre staff, ‘He values my opinion – I have suggestions and am more involved’. Ken Gilbert (Centre Caretaker). As centre managers, Hometown Plus took a hands-on approach, making genuine connections with staff, seeing this a valuable way to connect into the town, to help find collective solutions to problems. Hometown Plus developed partnerships beyond the centre and the retail sector, driving community-buy in to the innovations being delivered and making the most of the assets Newcastle under Lyme has to offer. ‘He [Mike] sings from the same song book.’ Narina Stead (Cultural Squatters Café). Many of these partners became involved in the development of CounterCoin the volunteer, business and community rewards scheme which strengthens and builds resilience and cohesion across both business and the community. CounterCoin partners include: Wavemaker, Human Nature, Cultural Squatters, It’s All About Me, Newcastle under Lyme Borough Council, Unltd, YMCA, Vintage Volunteers and VAST. Hometown Plus have also made a strong connection between social and economic issues in Newcastle under Lyme, in alignment with the borough’s Economic Development Strategy, significantly they won a Fair Place Award in 2017. Hometown Plus are clear that shopping centres (and the towns they are based in) urgently need to find alternative ways to sustain and support resilience and prosperity, imagining then implementing ways of doing things differently, because ‘business as usual’ is not an option. Hometown Plus think out of the box and connect to and support both trade and community equally. They do business differently, by using ethical yet innovative approaches to the social and economic issues Britain’s smaller towns and cities are facing today. While there are many advocates of the principle of community-based shopping centre and high street regeneration, it is hard to find working models or case studies. This is, therefore, both the challenge and appeal of the York Place project. The attempt to create a revitalised shopping centre by aligning the interests of stakeholders offers a local solution to entrenched problems and also a case study to help other places think about their own actions. The work to regenerate the York Place shopping centre in Newcastle-under-Lyme starts with an under-performing and out-dated retail centre in a struggling town. The challenge for the Hometown Plus team has been, with very limited resources, to develop a programme of active management that will improve the financial viability of the centre and its value to the community. The question is, by aligning business and community interests, is it possible to create a stronger and more valuable space? The results so far are very encouraging with some early wins and good foundations put in place. Below, we explore the impact made so far by the Hometown Plus approach. First stage improvements in the arcade to the floor and lighting have created a brighter, safer and more welcoming space. This has improved visitor perceptions, made it more likely that shoppers will visit and provided an indication of the owner's commitment to improving the centre's appearance and utility. An active and engaged management team to improve relations with existing tenants, find new tenants for the empty units and develop a plan for the centre. The average vacancy rate in 2017 was one unit, compared with five units in 2016. This has resulted in significant financial gains through savings in void costs (£107k) plus extra rental income (£51k) in 2017. Developing effective forms of support for existing tenants and continuing to find new tenants to fill units as they are vacated. Building the identity of York Place around independent, distinctive, local and quality offerings. An anchor tenant, the YMCA has been secured, establishing a new retail/events unit, The Place To Be, which is intended to drive footfall in the centre and to provide events that contribute to community-building. Creating a new identity for York Place as a home for independent and specialist traders. Work with partners to become the UK's first shopping centre to secure the Fairplace Award, the prestigious ethical workplace accreditation run by leading UK property charity, the Ethical Property Foundation. Building significant relationships across Newcastle-under- Lyme to secure support from the Borough Council and the Business Improvement District (BID). Engagement with many local and regional community and arts organisations to plan events at the centre and to enable York Place to be involved in future events that raise visibility and encourage footfall - including the Festival of Sport in 2018. Continuing to improve the quality of the York Place estate to meet the needs and aspirations of tenants and centre users. A demanding retail environment requires an infrastructure fit for purpose. Securing the management team input for the next phase, avoiding loss of expertise and momentum. Exploring new revenue streams that can allow the regeneration project to develop further and create more financial and social value.